The latest addition to the Seibertron.com toy photogalleries sees the recent Transformers Collectors' Club membership incentive for 2015 - the big bad who used to be good, Nova Prime! 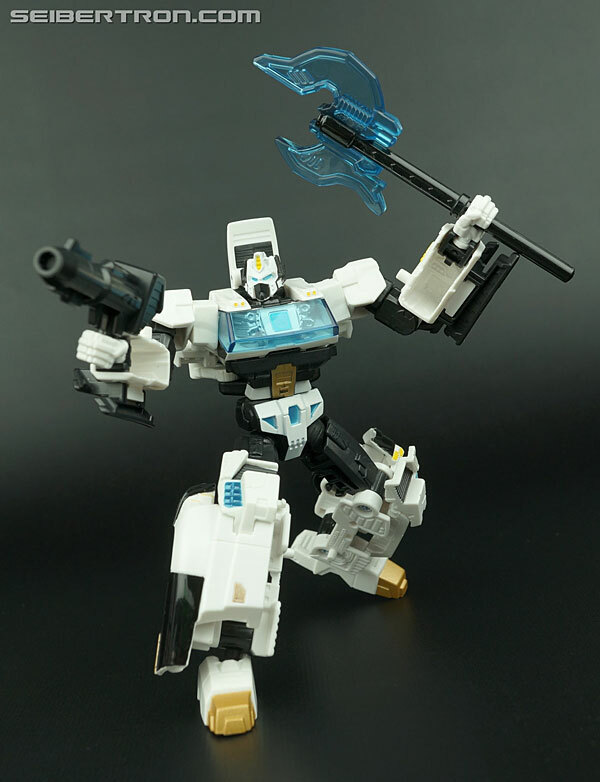 This is a retool and redeco of the Generations Deluxe Orion Pax figure, the figure sports white, black, gold and teal, an alberd, a gun, and will probably attempt to establish a Primacy or Dead Universe colony in your collection once displayed. 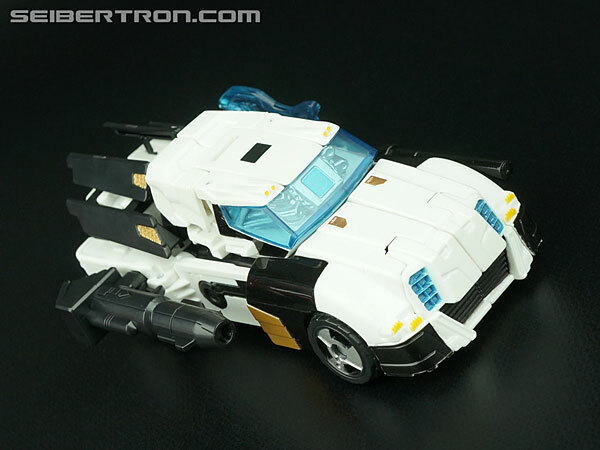 Check out the full gallery by clicking on any of the images below, which include comparisons with the rest of the Ark 1 crew from the IDWverse, and let us know what you think of this new version of the mold, before the arrival of the next one with Lio Convoy! Only room for two figures in the box, I wonder if that means no figure for the mystery purple guy? I really like this mold. It's really amazing what a little paint and a new head can do. I didn't realize these pictures were from seibertron galleries at first. I've got what may be a dumb question. Are the galleries a team project or are the work of just Seibertron? carytheone wrote: I really like this mold. It's really amazing what a little paint and a new head can do. The galleries are just the work of yours truly. Thanks, that's what I thought, I just wasn't sure. Apologies for all the drool you've had to clean up in the galleries. Man, that head sculpt's really gummy. carytheone wrote: Apologies for all the drool you've had to clean up in the galleries. SW's SilverHammer wrote: Man, that head sculpt's really gummy. For me it's OK, not the sharpest, but could be worse. The paint, however, is a disgrace for that price. This is the paint quality I find on $5 knockoffs from Family Dollar. Mercifully, mine wasn't quite so lacking. Just a few white paint flecks; the rest of the 'horn' was painted black. Hey Ryan, can you tell what color his Autobot symbol is inside the blue windshield? I'm trying to figure out if this guy is supposed to be SG or not. Also, I love the final shot with some of the other Ark-1 crew members. Though, what about Scourge, Straxus, Tailpipe (the DOTM Human Alliance Basic could stand in), and Grindcore (United EX Tankmaster could stand in)? Sabrblade wrote: Hey Ryan, can you tell what color his Autobot symbol is inside the blue windshield? I'm try to figure out if this guy is supposed to be SG or not. I've read the comics and don't even remember those guys sharing time with Nova Prime so we'll pass on that shot. Not saying that they didn't ... just not major enough players to warrant my time trying to make that shot. 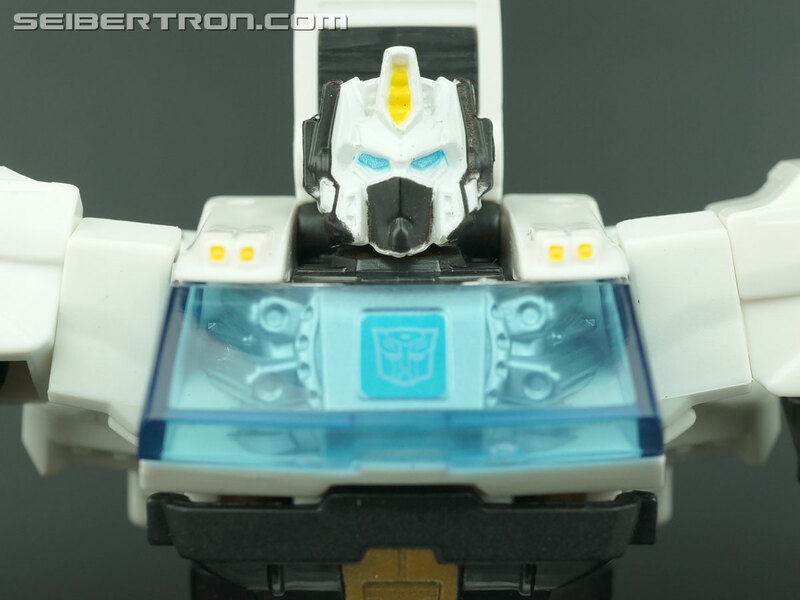 I can either work on that shot or I can work on the gallery of Combiner Wars Cyclonus today. 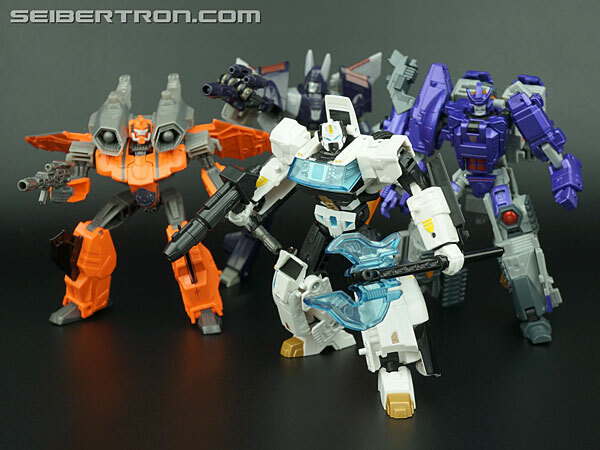 Cyclonus takes precedent. 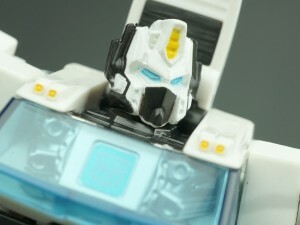 Sabrblade wrote: Hey Ryan, can you tell what color his Autobot symbol is inside the blue windshield? I'm trying to figure out if this guy is supposed to be SG or not. Oh, you were going by interaction scenes they shared directly with Nova. Okay. That makes sense. 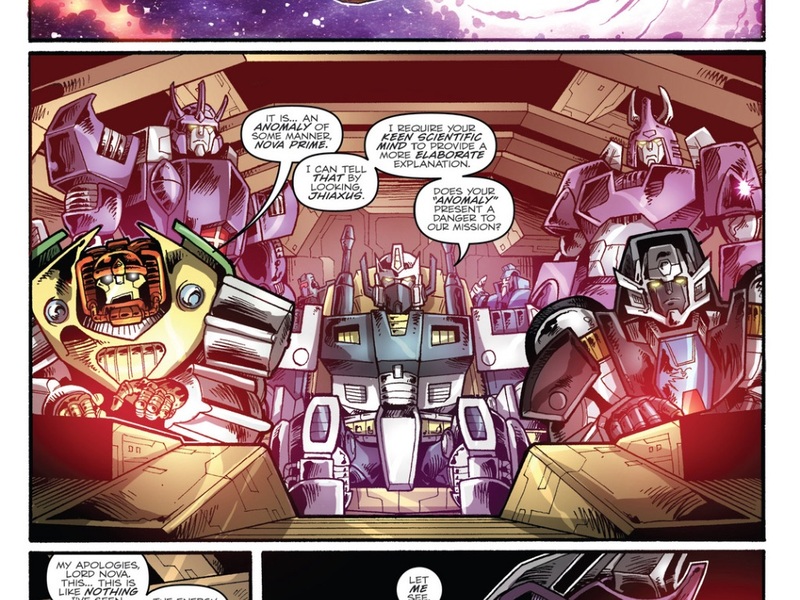 I guess it is true that not all of the Ark-1's crew were seen in the same room as Nova in the comics. The following frame is the whole reason I ended up getting the HA Tailpipe figure, but he only features in the one comic, and you can barely see Scourge and Grindcore in the background. My Nova Prime arrived in the mail today, and I admit, I'm a bit underwhelmed. He's a bit loose all around, and the head, while OK, doesn't scream of the Nova Prime we wanted. He'll look really good on the shelf, and I don't regret buying him. But if you're on the fence, I would wait for a sale or just skip this one. megatronus wrote: My Nova Prime arrived in the mail today, and I admit, I'm a bit underwhelmed. 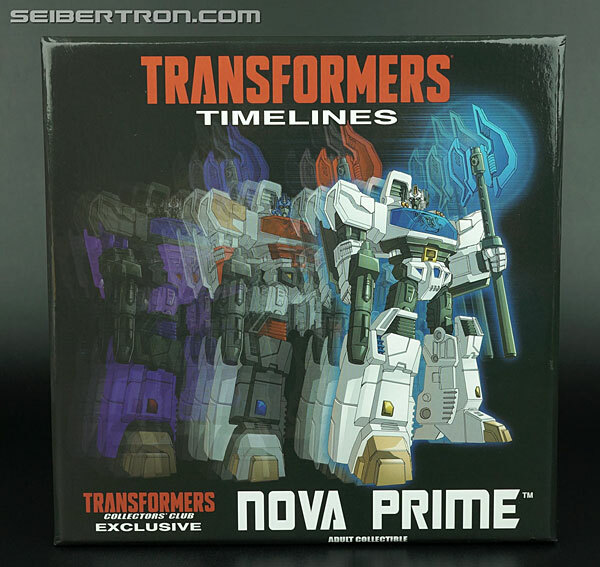 Or find a Hyper Novae, people on eBay will probably try and sell The club's Nova prime for a similar price. Yes that's hyperbole. I was never interested in Hyper Novae. I'm way over the Battler Tanker concept. 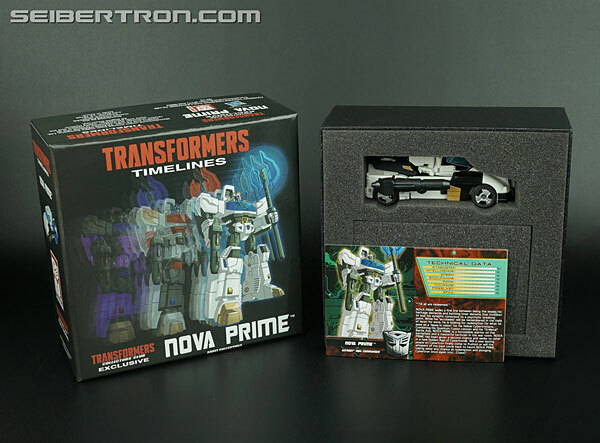 I wasn't talking about the toy from the conceptual gimmick level, just for the "Nova Prime" aspect. The gimmick kills it for me. It's hard to un-see. Also, did you change your avatar between your first post and this one? Gnarly.